The deadline to apply for scholarships has passed! We hope to receive your submission next year! 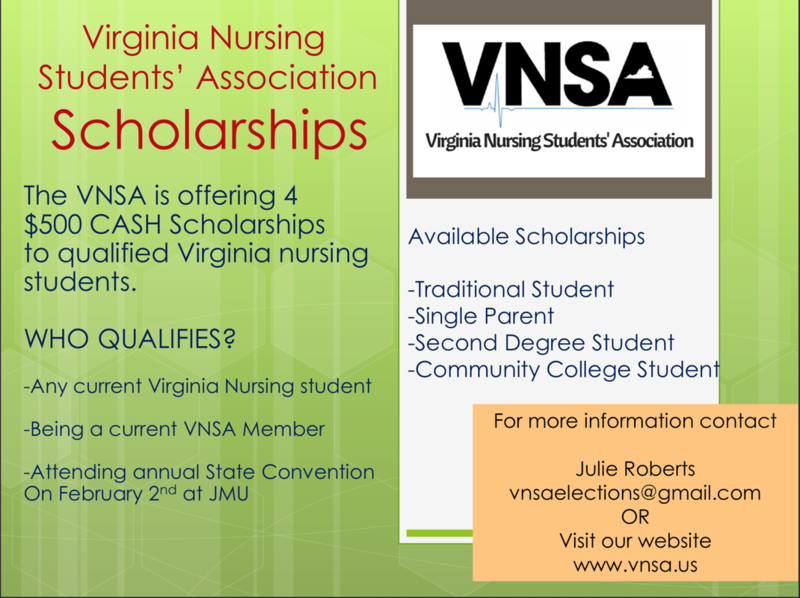 As members of VNSA, there are a wide variety of scholarships for which you can apply to be awarded. 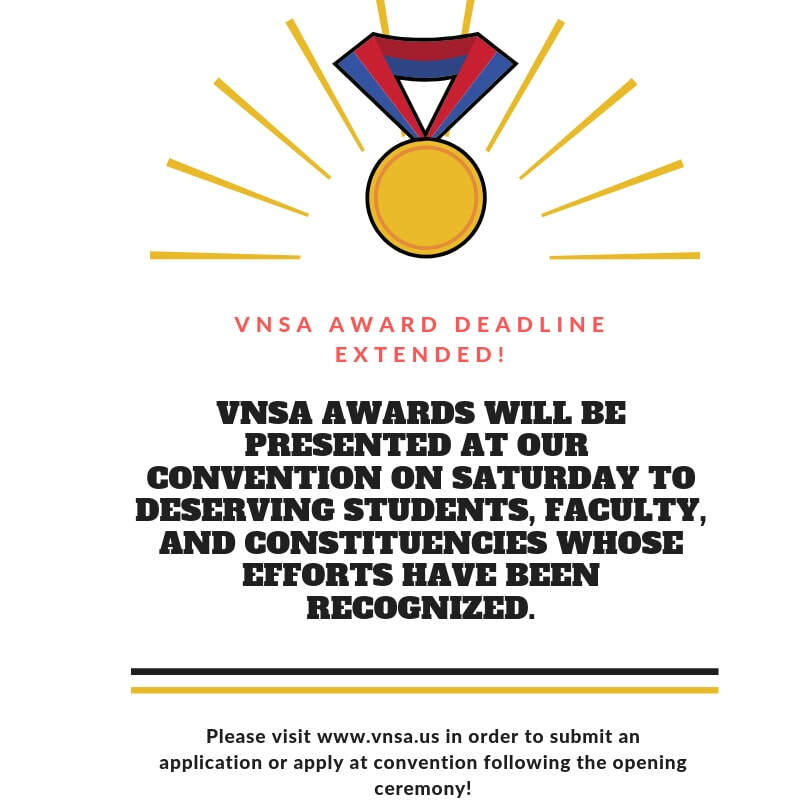 In order to be selected as a recipient and receive the scholarship money, you must be in attendance at the VNSA Annual Convention. Winners will be announced at the closing awards ceremony. To learn more information about these scholarships, please read the Scholarship Guidelines or email Kelsey Nafzger at contactvnsa.gmail.com. VNSA Awards are presented at our annual convention to deserving students, faculty, and constituencies whose efforts have been recognized. Nominate your peers and faculty members! The deadline for awards only has been extended until after the opening ceremony at convention on Feb. 2, 2019! To learn more information about these awards, please read the Awards Guidelines or email Kelsey Nafzger at contactvnsa@gmail.com.